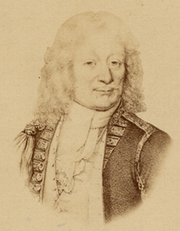 Michel-Ange Duquesne de Menneville, Marquis du Quesne (c. 1700 – 17 September 1778) was a French Governor of New France. He was born in Toulon. 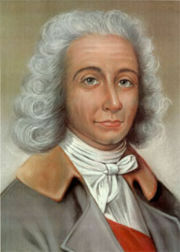 Duquesne served from 1752 through 1755, and is best known for his role in the French and Indian War. In 1758 Fort Duquesne, established at the headwaters of the Ohio River at what is now Pittsburgh, Pennsylvania, finally fell to the British. Fort Pitt replaced it. After the English were defeated by the French at Yorktown, the city became the American city of Pittsburgh.